AHDB Pork said they were ’in the dark’ about pig-specific antibiotic usage and urged pig farmers to take a united approach to set realistic reduction targets. The pig industry has raised fears about unrealistic antibiotic usage targets and its effect on production. Agriculture and Horticulture Development Board (AHDB) Pork has called for pig farmers to take a ‘united approach’ to set achievable targets, asking for 2015 on-farm antibiotic usage data before the end of the year to help the industry set realistic reduction targets later this spring. It came following a 10 per cent drop in the use of farm antibiotics earlier this week which put the UK on track to achieve its goal of 50mg per kilogram by 2018. AHDB Pork veterinary team manager Martin Smith said: “These reduction targets, which will run for 10 years from 2018, will add to mounting Government pressure on producers. “At the moment, we are in the dark about usage as we only know total antibiotic sales data for pigs and poultry combined. 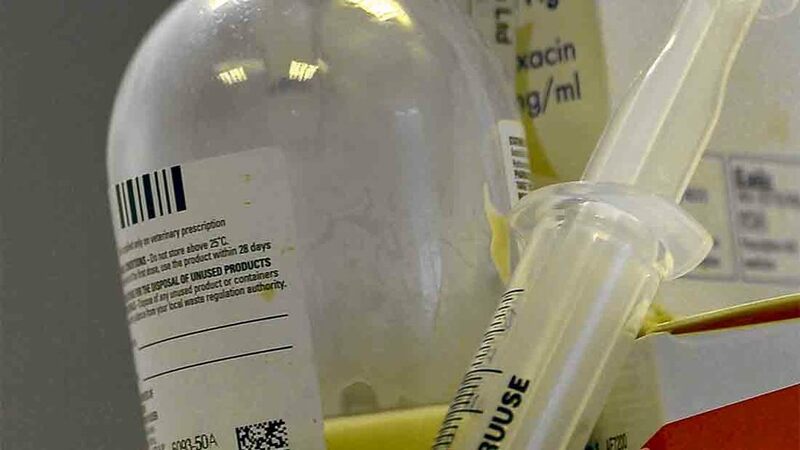 Mr Smith urged producers to send antibiotic usage data to their KE manager, or to the pig hub email address where information is uploaded anonymously to the electronic medicines book (eMB-Pigs). He said AHDB Pork and the Veterinary Medicines Directorate (VMD) had developed the eMB-Pigs website to enable producers to provide aggregated and anonymous records of on-farm antibiotic usage. “It is vital that producers help us to help themselves and they can do this by sending in their data so it can be used to benchmark and help set informed, realistic and achievable targets,” Mr Smith added.